TME expands its range and now also offers Alpha Torque series timing belts and belt pulleys manufactured by OPTIBELT – the leading manufacturer of industrial power transmission solutions. 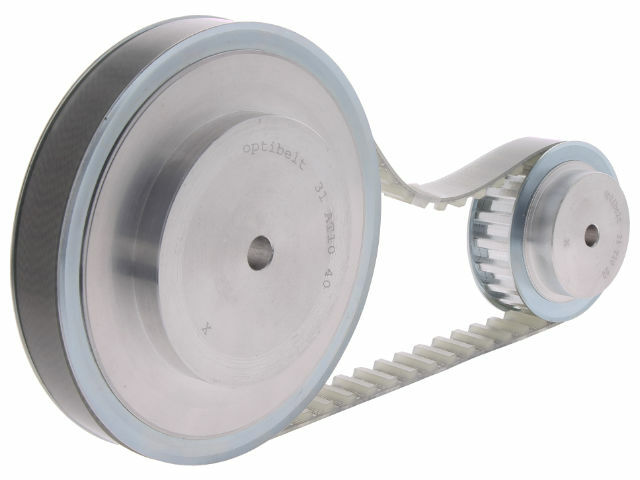 OPTIBELT products are applicable in R&D and maintenance departments, they can also be used as elements of various machines and devices, such as 3D printers, copying machines, scanners, fans and drives of belt and roll conveyors. Alpha Torque belts products are made from abrasion-resistant polyurethane, which is characterized by good resistance to oils, and also acidic and alkaline environments. TME product portfolio includes belts with various profile (T2,5, T5, T10, AT5, AT10), length (107,5 – 2250 mm) and width (2 – 50 mm) options, as well as ZRS series belt pulleys compatible with every belt profile and width available in TME’s offer. We encourage you to get acquainted with our choice of OPTIBELT brand power transmission solutions.